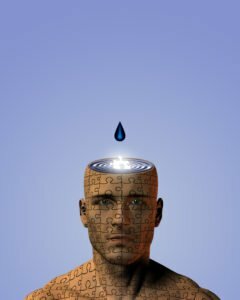 Your brain is divided into two parts – your thinking brain (conscious mind) and your higher consciousness (subconscious mind) Your conscious mind can and often does run rampant. It runs all sorts of narratives, day in, day out. Telling us, we’re not good enough, not worthy enough, we’ll never lose weight, we’ll never be rich, we’ll never attract the perfect partner, etc etc. Many people think we don’t have control over these stories that go round and round in our heads. Stories we tell ourselves that often came from someone else, somewhere else, as far back as our childhood. We take on board other people’s stories and believe them to be true. We believe them to part of our reality, and they can stay embedded in our mind for decades..
Not until we can identify with our subconscious mind and understand that this is in fact, separate and distinct from our conscious mind, can we actually take control of our thinking. We can decide what stories to pay attention to and what stories to ignore. We can change these stories to whatever it is that we desire. We can take control over not only how we think, but also how we behave and how we react. We’re all walking around with stories about who we are, and we vastly underestimate the power of those narratives to shape our lives. By taking control of your stories, you can change dramatically. Given that the conscious mind is only responsible for 10% of our actions, accessing the subconscious mind is the key to taking control. 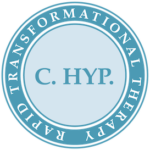 Rapid Transformational Therapy™ and hypnosis are powerful tools that your therapist will teach you to use to communicate with your subconscious mind. RTT and hypnosis can switch off the conscious mind, bringing our subconscious to the forefront. Because the subconscious mind is so much larger – remember it is responsible for 90% of our actions – it is so much more powerful and effective at changing our stories. When will and imagination are in conflict, imagination always wins. When we live with stories or habits we no longer want in our lives, the conscious mind tries to use willpower to control them. Your conscious mind will always, without fail, lose out to our subconscious mind, the larger, more powerful mind of the two. Our subconscious mind has a memory that is virtually perfect. It stores and retrieves data and it responds exactly to how it’s been programmed. Hypnosis can change your programming because your subconscious mind is subjective. It will obey any command you give it – good or bad. Since you spend all day thinking, why not think positive, empowering thoughts?